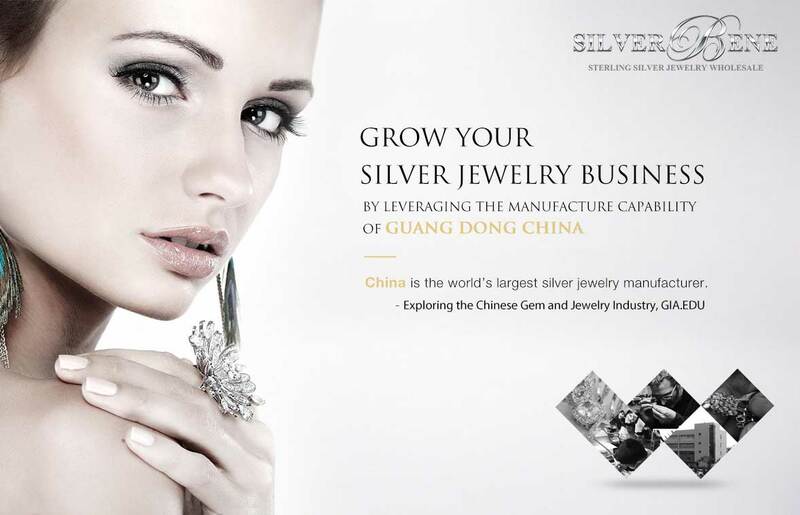 30+ years sterling silver jewelry manufacturer & OEM experience, we developed a streamlined process to turn your design into the bestseller - we stand for the top quality sterling silver jewelry manufacturer in China. We can avoid almost all of the problems your customer concerns about sterling silver jewelry. All of our products are strictly made using 92.5% or higher purity of silver and our products are compliant with EU jewelry standard (EN 1811 - Nickel release / EN 12472 - Lead Content, Cadmium Content). As you may already know, the EU jewelry standards are the most strict jewelry standards in the world. Detailed and experienced 3D CAD designing, to build aesthetic and detailed 3D design model. Direct metal directly printing, or batch manufacture without rubber mold, to keep the final jewelry sharply precise as the design. High-level gold PVD coating to 2 microns, to keep the plating extremely durable and last more than 3 years on frequent wearing. We provide onsite service if needed. Our project managers can travel to your office for settling down the designs and craftsmanship for efficiency. The charge of project manager onsite service is USD $100 per day. The traveling fees ( Flight, Taxi, Bus, and Hotel ) will be charged as actual costs. We'll provide a plan and budget to you after the office address has been fixed. All fees need to be cleared before traveling. 2. 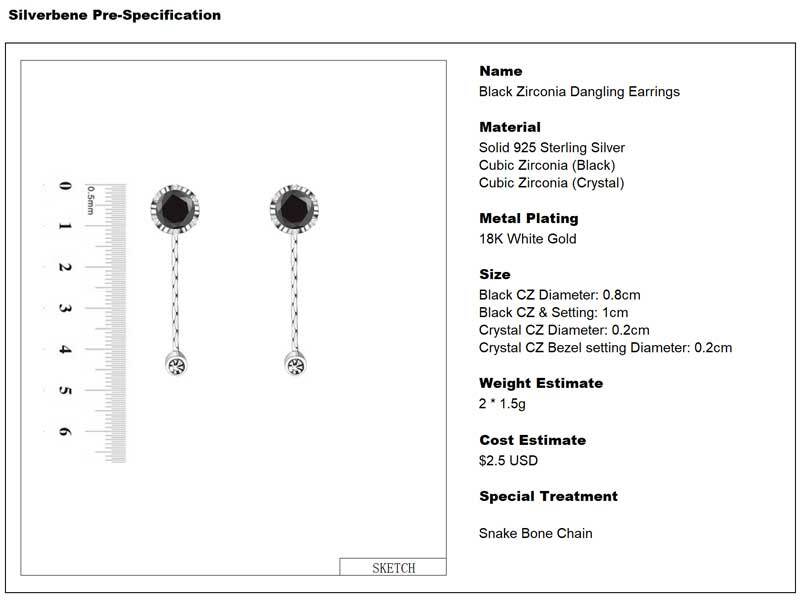 Design in 3D Model: after we confirmed the pre-design and we'll charge a design & sample making fee (normally $40, like the earring above, might increase if complexity and craftsmanship are high.) and start our 3D model design in jewelry CAD. We'll discuss and revise the 3D model design back and forth by instant message, phone or email until all the requirements are met. 4. Bulk Manufacture: if you are satisfied with everything, then the manufacturing order can be placed. The sample fee will be refunded after 400 pieces ordered. Generally, the manufacturing time is 20 days under 3000 pieces. Manufacture time might get longer if the order is above 3000 pieces. The time contains quality assurance. Please be advised that there will be around 20 days delay during Chinese Spring Festival or October. Q : As this is the first time, I just concerned if you are qualified to manufacture our product line, could you provide any evidence that you have? A : Firstly, please browse our online products for similar ones that you are going to manufacture. Besides, during the free pre-design process, we'll discuss and evaluate if we can do the job. We have jewelry designers over 30 years experience and should give you useful jewelry suggestions. Q : I have a picture of the jewelry, can you make that for me? A : Sure, our jewelry designer will try to get all of the information on the jewelry you have, and advise the information you don't have to complete the jewelry. Q: We have a project of 25 jewelry styles to manufacture, all have only a rough sketch, can you do those pieces of jewelry for me? A: If build from scratch and the number of the design are more than 10, we suggest to separate to different phases, this is because you can make sure the jewelry is you want by receiving the real sample made. Q : What is the minimum order for manufacture my design? A : There's no minimum quantity restriction for making a sample. please refer to Make Your Own Silver Jewelry. The minimum quantity for manufacture the product at wholesale price is 100 pieces per sample. If you order more than $500 for this product, the sample making fee will be refunded. Q : Is the bulk manufacture order a mandatory if I ordered a sample making? A : No, the bulk manufacture is not mandatory, you don't need to continue if you don't think it's worth the bulk manufacture. Q : How long is the manufacturing process? A : In the designing phase, we'll discuss with you back and forth to make sure we got all the information, this time span can be short if the jewelry complexity is low, or long if the jewelry complexity is high. For manufacture, it is under 20 days if manufacture lower than 3000 pieces and the time may get longer if order more than 3000 pieces. Q : What payment do you accept for manufacture? ● Sample Making: Full payment needs to be cleared before sample making. ● Bulk Manufacture: 50% payment including shipping must be cleared before manufacture start. Then the 50% payment must be cleared before shipment. ● T/T, Paypal, Western Union, Alipay are all available for your option. L/C is acceptable If a single order is more than $100,000. ● Please note the transaction fee if any must be paid by the buyer as the small margin of the manufacture price. Please be advised Paypal/Credit card will charge a transaction fee at receiver's side. Q : How about the shipment? A : Our carrier partners DHL/UPS/FedEx/Aramex will deliver in 10 days after the manufacturing process completed.